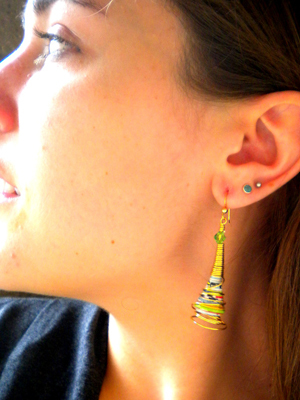 I like how the Caged Cone Beads turned out, it looks like one of those “designer” pieces on some beading magazine. 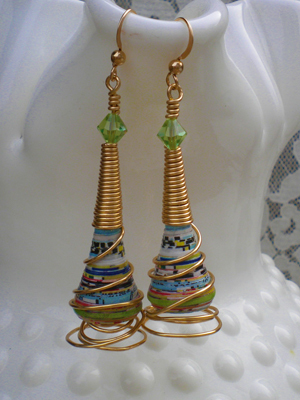 I have recently been mixing wire with the paper beads and I like the look of it. Like they say opposites attract? I love using the non tarnish wire in gold, no need for gold filled (expensive!) it looks just as pretty. I am definitely loving the caged look! I so wish I lived near your shop! what a great idea !!! 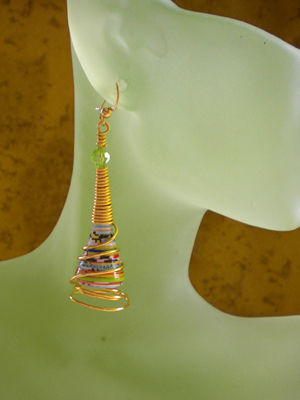 these earrings looks so easy to do with your video ! they are so pretty… thank you Janice ! !